Art Pepper (1925-1982) - Alto Saxophonist known also for being "a very occasional tenor saxophonist and clarinetist"
Got some things to tell ya. Not a thing to sell ya. Listen and you'll all find out. Got a lotta news to shout! Say! So bring your freighter, come and alligator that band. In a room full of noise. 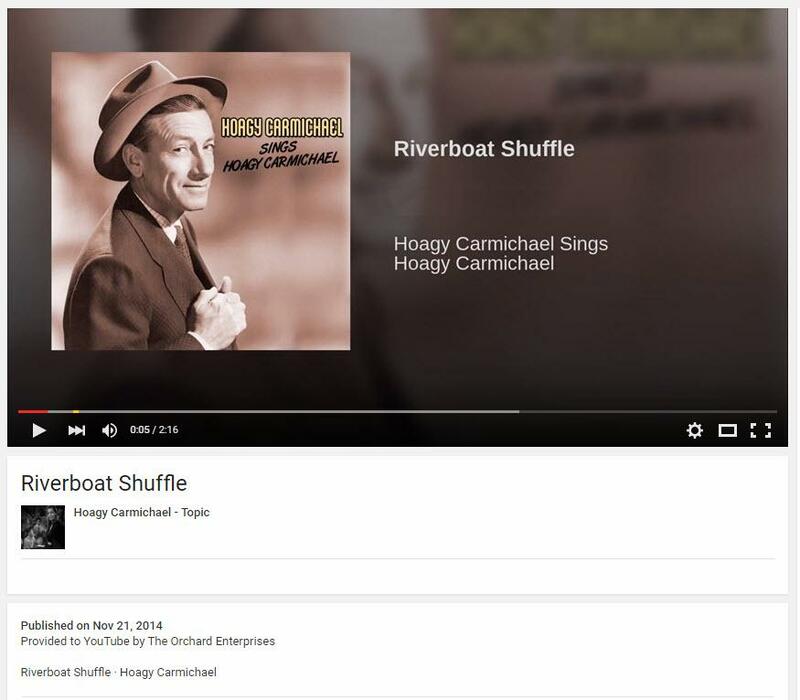 I'll be seeing you at the Riverboat Shuffle tonight. Alligator: A devotee of jazz or swing music. A friend in France helped me get a hold of this old LP which apparently dates back to the '60's . . . a French Dixieland Jazz band lead by "Mowgli" (named for the boy hero of The Jungle Book) Jospin a trombone player whose brother Lionel was of one of France's Prime Ministers. The color scheme was black and purple which was too much for my eyes so I tamed it down to a nice blue. Art work of the boat is pretty nice, reminds me of the style of MAD magazine artists like Jack Davis. 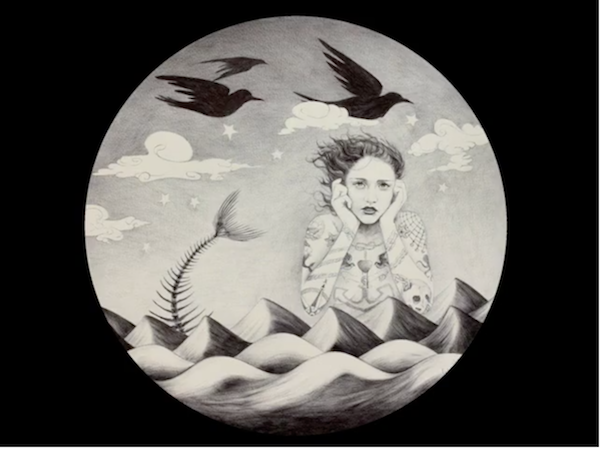 Mississippi River Wrap Around LP album cover. Attached scan of DVD cover of the 1980 T.V. 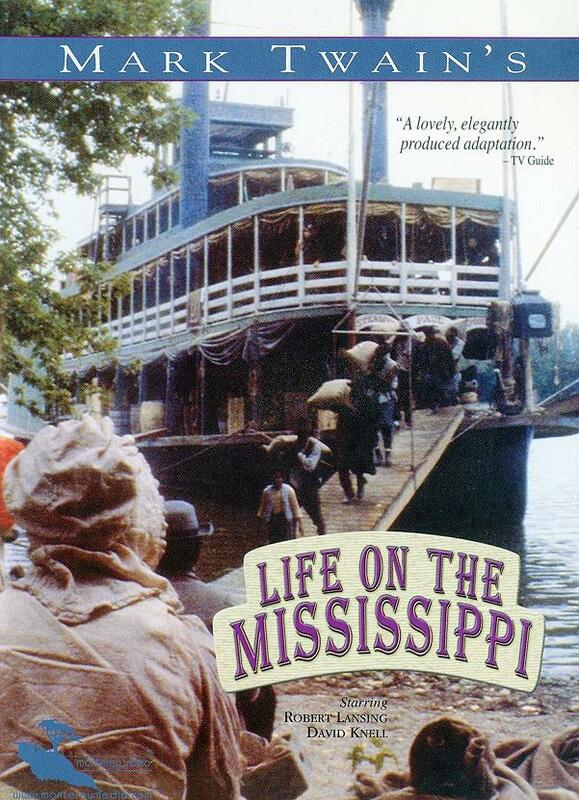 movie based on Mark Twain's memoir LIFE ON THE MISSISSIPPI first broadcast on PBS. The movie was filmed on the Illinois River with Dennis Trone's JULIA BELLE SWAIN doubling for both the PAUL JONES and the ALECK SCOTT. Shot on 16mm film there is some softness to the resolution of the movie which appears to have been transferred from video tape to DVD rather than remastered in high resolution to DVD. If that upgrade can be made someday the image quality will be improved a great deal. Robert Lansing portrayed Horace Bixby the master pilot who "learned Sam the river and Lansing became a kind of surrogate incarnation of a grown-up Mark Twain in both appearance and characterization. He really makes the show come alive. Presented by PBS and the National Endowment for the Humanities, this movie version of Twain's exciting river memoir sticks to the book in both narrative and dialogue. Newsday called it, "The most respectfully faithful translation of prose to film I have ever seen or yet imagined..." Starring Robert Lansing and David Knell, with an introduction by Kurt Vonnegut, Jr. (1980; color; 115 min.) Note to teachers: Includes study guide in the Root level of the disk. My film debut. When Dennis Christopher broke his arm, two weeks before production began, the producers of this Great Performance epic scoured the globe for someone else to play young Sam Clemens in Mark Twain's autobiographical tale of his years as a young riverboat pilot. They found me. It was an amazing experience that I will treasure as long as I live. Beautifully shot by Walter Lassely, and Directed by Peter H. Hunt. I have fond memories of every single person who worked on this film. A few years ago there was a 3-D IMAX film called, I think, "Mark Twain's America" that featured some footage shot on the Julia Belle Swain, the steamboat on which we filmed. I cannot express how wonderful it was, reliving a cherished memory in 3D. Amazing. "When I was a boy, there was but one permanent and burning ambition among me and my comrades, and that was to be a steamboat pilot." 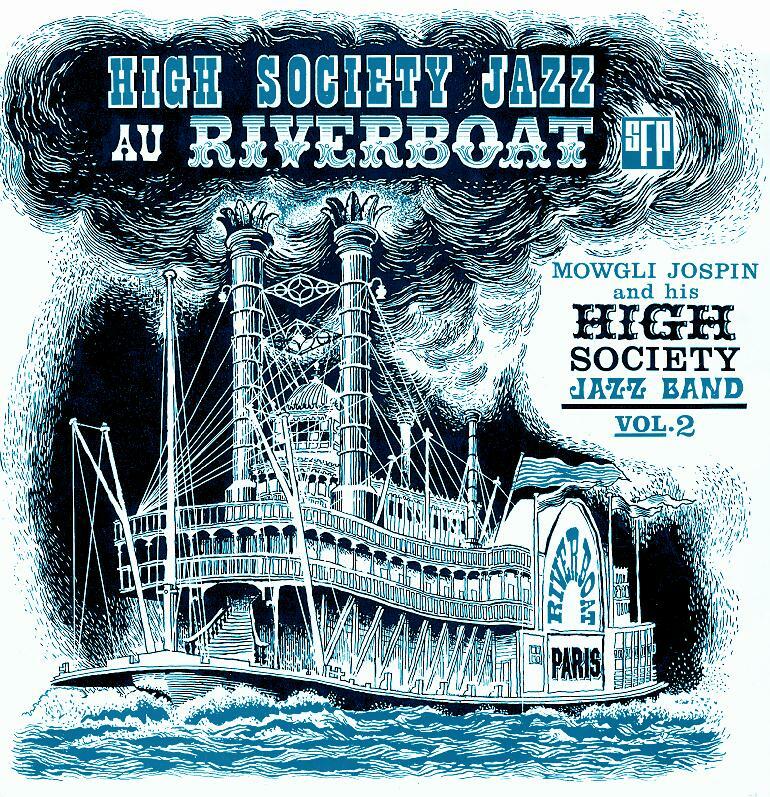 Wrap-around LP album cover for "MISSISSIPPI RIVER'S"
The chief interest is of course the cartoon-style steamboat DIXIE ROSE and those crazy caricatured singers and dancers down by the riverside. This is a scan of the cover only for the 16th in 79 Volumes in the serio-comic Western series which began publication in 1949 featuring a light hearted Belgian-French reimagining of what Western hero as incarnated as cowboy Lucky Luke. Belgian artist Maurice De Bevere (1923 - 2001) who created Lucky Luke, signed his cartoons "Morris." René Goscinny (1926 -1977) wrote over half of the Lucky Luke stories. Goscinny also wrote the stories for the comic series Astérix which was drawn by Albert Uderzo.Note also there's an alligator sitting up taking notice in the river near the center of the steamer's profile. 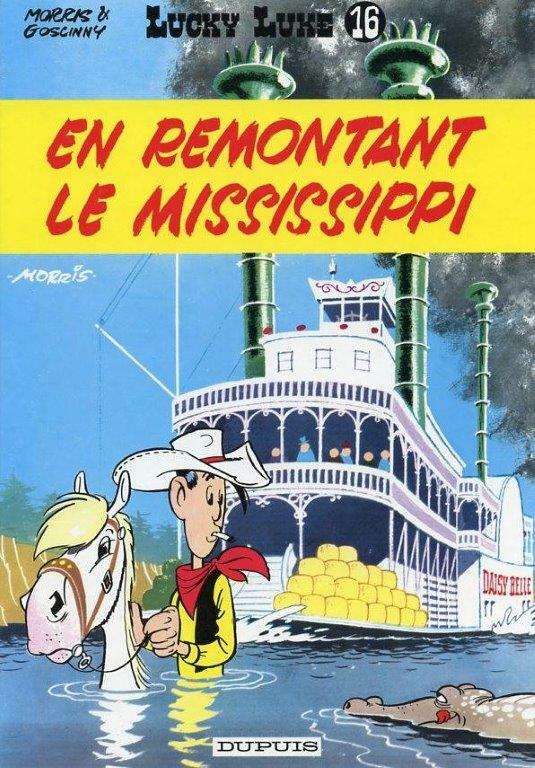 A 'gator is also included on the cover by the same artist for the cover of the Lucky Luke adventure EN REMONTANT LE MISSISSIPPI BOGALUSA, LOUISIANA is on a label attached to the barrel that the banjo player is sitting on in the far right foreground is sitting on. The celebrated Belgian cartoonist signed this and his other cartoons "Morris." CD cover art done in the tradition of MAD magazine cover artist/caricature expert Jack Davis. Nice technical accuracy on the li'l sternwheeler. 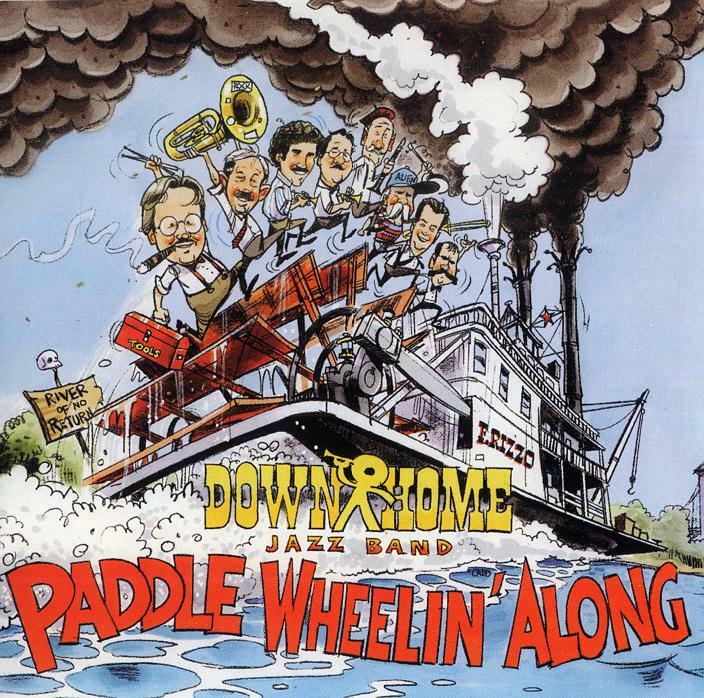 Down Home Jazz Band records for the Stomp Off label. buy the CD at Amazon.com. 1931 sheet music cover promoting male soloist Wayne King with the silhouette of a single stacked sidewheel railroad-transport ferry/steamboat. 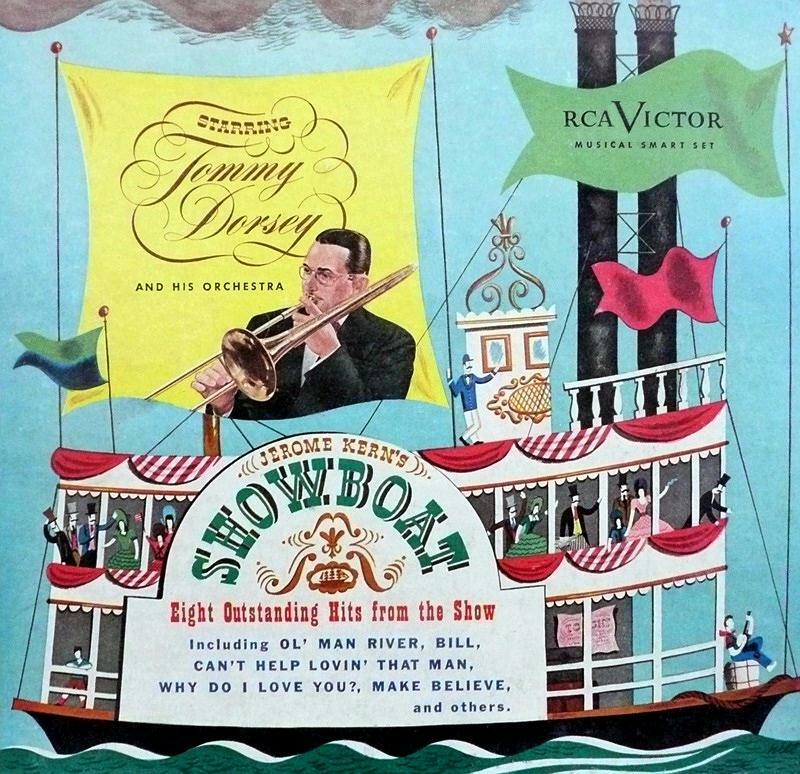 Many of the Tin Pan Alley publishers hired artists who weren't familiar with the style of Western Rivers-style steamboats, so authentic representations of them were outnumbered by the anachronistic variety. Sheet music dedicated to steamboats by their own names back in the mid 1800's were usually published in the Midwest or South where the contributing artists were familiar with the "real thing." The Boswell Sisters were a close harmony singing group, consisting of sisters Martha Boswell (June 9, 1905 -- July 2, 1958), Connee Boswell (original name Connie) (December 3, 1907 -- October 11, 1976), and Helvetia "Vet" Boswell (May 20, 1911 -- November 12, 1988). The trio was noted for intricate harmonies and rhythmic experimentation. They attained national prominence during the 1930s. That means we're on our way. This is my happy day. Hang on you lazy steamer, quit your stallin' and move along! Hear that engine hummin' Lawdy! With the folks I adore. That's my home, my journey's end. Roll on you Mississippi, roll! What's the next big town we'll see? I'm so excited I'm as happy as can be! Come on, you lazy steamer, move on! See that river, here we come! Watch that smoke boy, hear that hum! Roll on, you old man river, come on! Move on, you lazy steamer, move on! Roll on, you Mississippi, roll on!